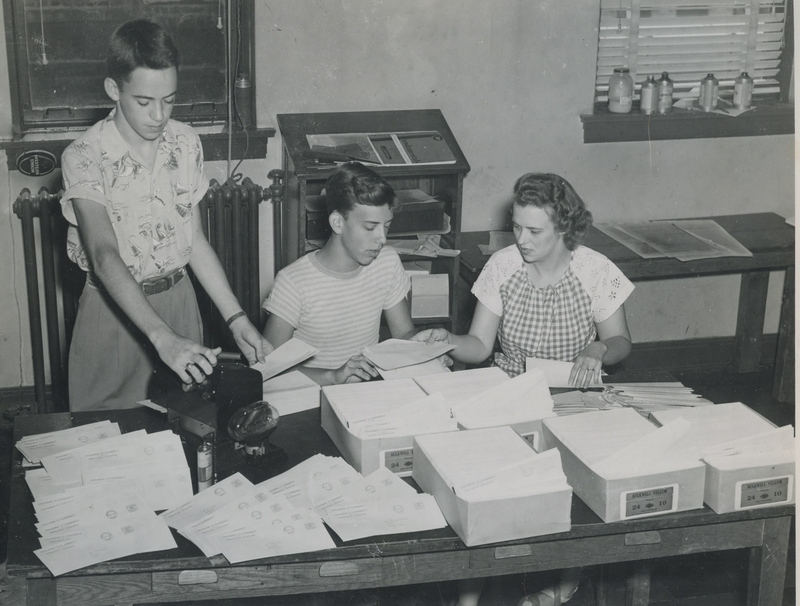 Billy Blackstone and Douglas Lore helping Sara with the Bestform promotion campaign, 1948. “Botts Blackstone loved to tell jokes and laughed harder at them than anyone else. He had performed as a blackface comedian in local minstrel shows and had sung with a quartet with the three Hinman brothers known as the Blackstone-Hinman quartet. He had a beautiful tenor voice and kept a running record of the number of funerals and weddings he sang for each year. He prided himself on the number of jobs he had as secretary of such organizations as the Delta Livestock Fair, the Rotary Club, the Travelers Club, etc., etc., and as correspondent for the Memphis newspaper, the Commercial Appeal. “I would get mad because I had to type all of the copy he sent to the Commercial Appeal. We sent most of it by wire, but every week I had to go through the Commonwealth (the local paper) society items to send for a Sunday society column. Everything we sent was copied, word for word, from the local paper. He got paid for it, but all I got was a nice Christmas present every year. Looking back later though I was glad for having done it because it was through this association that I later got my job with the paper. I also had to help with his many other jobs. “I always felt that I was at the Chamber at the right time because it was a good place to be during the war years with our close association with the Air Base, and after the war there was so much progress being made and so many projects being promoted, and it made you feel good to be a part of it. We promoted a bond issue for the new hospital, a bond issue for Hinman Bridge, Bulldog Stadium, a new high school and other projects. 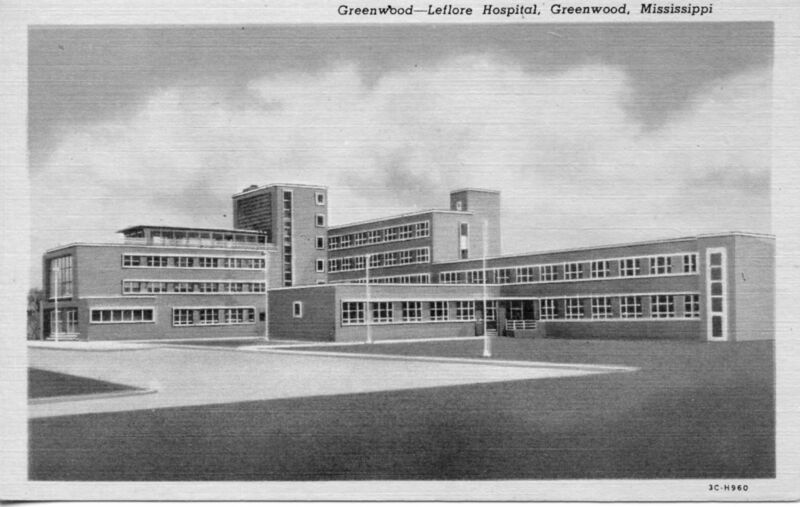 Greenwood Leflore Hospital, a 1952 success for Botts and Sara. Our biggest disappointment came in 1948 when we promoted the first bond issue for a factory, the Bestform Foundation Company, and it was defeated by a small margin, setting Greenwood back ten years in their efforts to get indsutry. It was one of the first industries to decide to locate in the Delta, and we worked so hard to put it over, and a few selfish individuals defeated it. The cotton merchants fought it because they thought it might interfere with labor. Oscar Bledsoe, who was head of the Staple Cotton Association, wrote articles for the paper with the headline, ‘Mortgage Your Home for a Corset Factory.’ This was in 1948. “One year I rode in the Winter Carnival parade with the Chamber of Commerce officers. We had to help Leonard Scruggs, who was playing Santa Claus, get dressed and we took him down to get in the parade lineup. I got a big kick out of seeing the little children along the way getting so excited when they saw us coming with Santa Claus, and I was amazed at the masses of people who lined the parade route for the Winter Carnival Parade. It was really a big thing for Greenwood and was held each year in connection with the Delta Band Festival. One of many articles promoting Greenwood that Sara wrote for the Commercial Appeal. 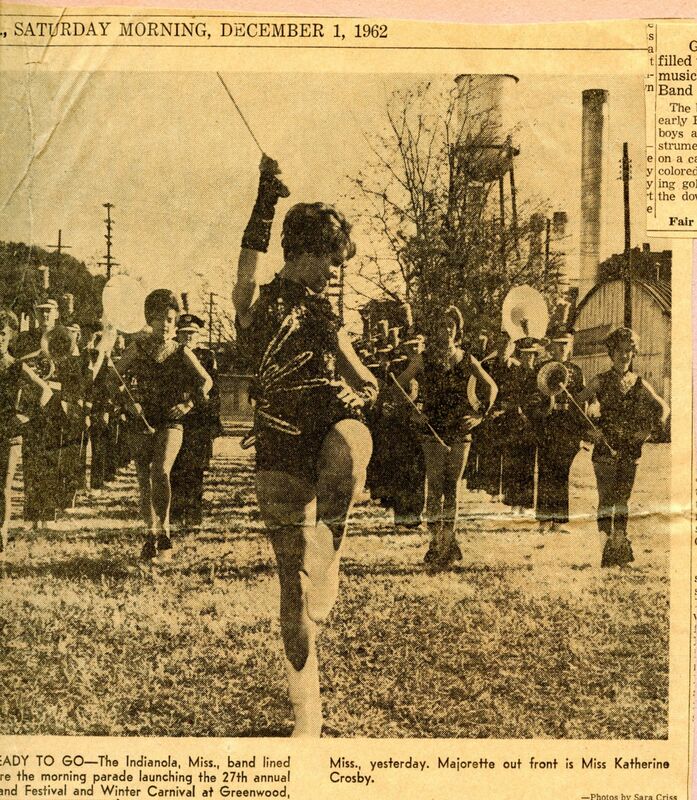 She made sure there was an article and at least one photograph from each year's Delta Band Festival.